We are officially on our end of year break right now, but we continue to read-aloud. The library basket is FULL, and it seems like there are a dozen books we haven't gotten to in our study of Ancient Greece. One of those book is Archimedes Takes a Bath. This little gem is a piece of historical fiction about how Archimedes discovered the water in the bath buoyancy principle (or Archimedes' Principle). This book was recommended in The Story of The World Activity Guide. We get A LOT of our book selections through The Story of The World! Both of my children thoroughly enjoyed this book, and my husband and I learned about Archimedes, too. We don't often read aloud about mathematicians, so this was a nice change of pace. I reserved this from our public library ~ I gather it's hard to find. 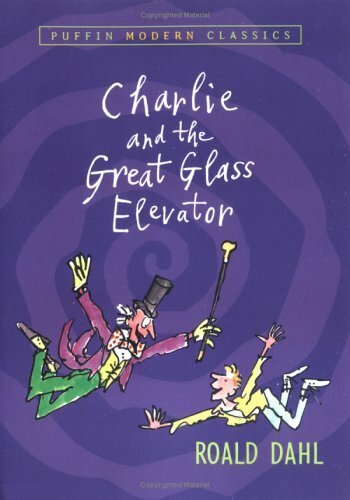 The second book we are reading this week is Charlie and The Great Glass Elevator by Road Dahl. This book is every bit as crazy as the first and the children are getting a good laugh from it each time we read. We listened to Charlie and The Chocolate Factory several weeks ago on Audio CD (I blogged about the CD - it was great!) and just had to buy the sequel. Looks like we are reading about two eccentric guys this week! What are you reading aloud this week? Leave me a comment and let me know! Also, visit Hope is the Word for Read Aloud Thursday, and then visit the blog again on Friday for the compilation of all the Read Aloud Thursday posts. It has gotten to be a great source of book recommendations for our homeschool!